Do you plan on visiting Queensland? Gold Coast is the perfect town to stay and this hotel ensures your stay is perfect. Australis Sovereign Hotel is sensible accommodation that is the greatest for your accommodation needs. 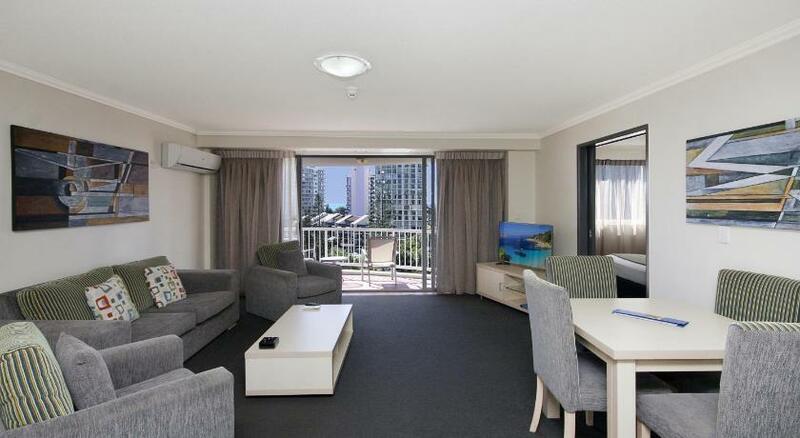 The Australis Sovereign Hotel boasts 4-star facilities and accommodations just a 5-min stroll from Surfers Paradise main beach and Cavill Avenue. Guests can use a spa, a day spa with a sauna and a lagoon-style swimming pool boasting a waterfall. The Australis Hotel is ideally located for exploring the Gold Coast’s wineries, rainforests and lovely sandy beaches. The tour desk books tickets to the nearby Sea World, Warner Bros. MovieWorld and Wet ‘n’ Wild theme parks. The air-conditioned accommodations options include private rooms and suites, each boasting a dining area, a Television and tea/coffee-making facilities. Some accommodations boasts a balcony or a spa tub. Serving breaky, lunch and dinner, Flavours Restaurant overlooks the pool area, and The Pool Terrace boasts open-air dining. This property has been online since Sept 13, 2010.